It’s always a pleasure to send my work out into the world, and I’m glad to start 2012 with a sale on etsy. “Chimeric” is on its way to a good friend in New York. This piece was originally shown with Launchpad Gallery in 2008 for their Dreams show, and again with Cravedog Loft Gallery in 2011. Not to throw too many words at it, but for me this piece explores the grid vs. gesture structure I’ve worked with in other paintings, this time stripping the gesture character of line, leaving the ink work to only the grid, and employing washes for the curves. 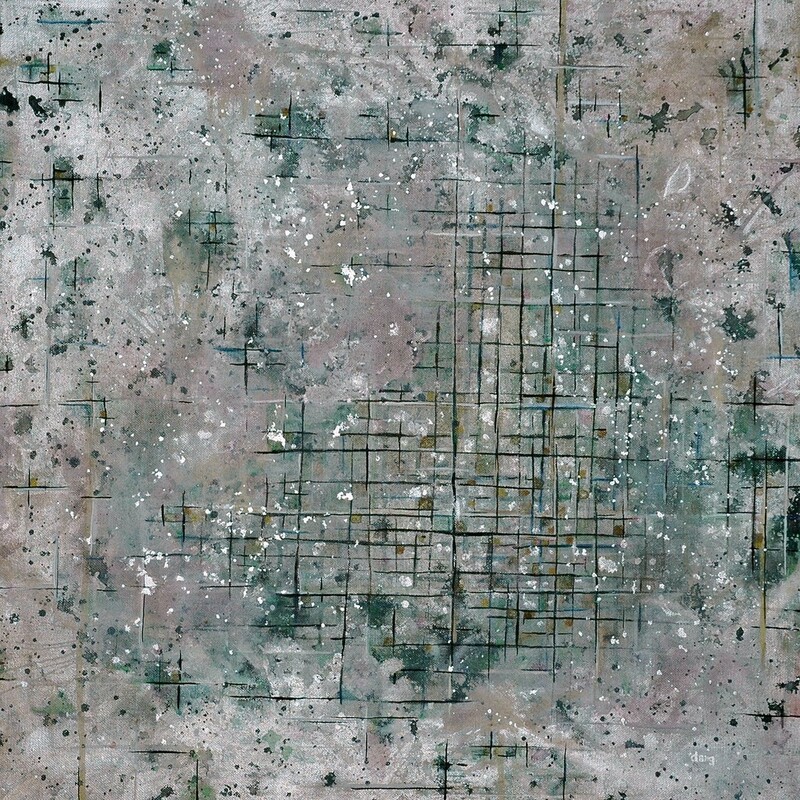 As far as the “imagery,” a bird’s-eye view of city streets emerged and informed some of my choices – but that was never as important as working with layers, depth, reflective silver, and paint in general. I think it looks pretty neat.